17 Oct Post by Salon Buzz Filed under Uncategorized. 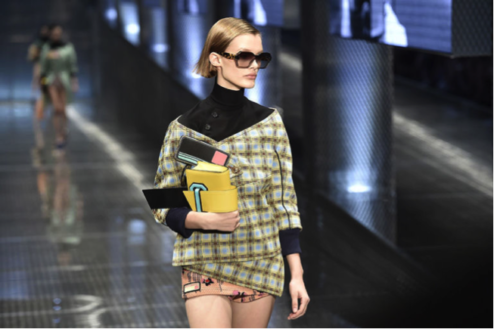 We’ve been playing with the LOB (Long-Bob) for a while now; but this past month, Miuccia Prada decided that its time to bring back the shorter, original bob. At the Prada runway show at Milan Fashion Week, six models received this signature look before showcasing the newest collection. Their hair was cut to just below their ears for a sharp, yet practical do. It was then styled in a subtle side part, tucked behind the ears and secured with a single bobby pin. The classic do paid homage to the brand’s ‘90s essence. 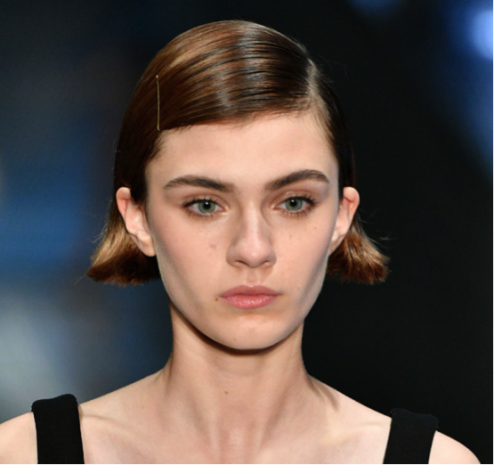 The exciting simplicity of this iconic hairstyle made it a favorite of the Milan runways. As any trend that Madame Prada starts, these short, straight bobs are here to stay. The short bob got its start in the 1920s and became a symbol of liberated, anti-establishment flappers. F. Scott Fitzgerald’s famous short story, “Bernice Bobs Her Hair” illuminated the social implications of the new hairstyle. As the short cut took off, it helped revolutionized the hairdressing industry and eventually gave rise to the “bobby pin” which received its name from its ability to hold the short hairstyle in place.